Direction For Use: Place 3 teaspoons of content in to 1 mug. Mix first with warm water and stir well, then dilute further with hot water or ice cubes. The consistency of this product will thicken and the colour will darken naturally over time. 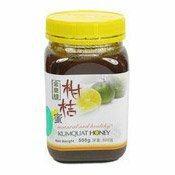 Ingredients: Kumquat (55%), Honey (35%), Rock Sugar, Salt. 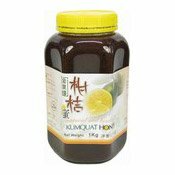 Simply enter your details below and we will send you an e-mail when “Kumquat Honey (金皇蜂柑桔蜜)” is back in stock!